Absolutely, no dropping the bar from overhead. Penalty is to stop and perform 10 Burpees. A. Take exactly 10-minutes to build to a 2-RM Overhead Squat. Athletes must perform these as box facing burpees. Keep these light. Every lift should feel fast and mechanically sound. *You must catch the ball for rep to count! Focus on speed and mechanics. Absolutely NO DROPPING the barbell. Congrats to everyone on an awesome job the last 6 weeks! We saw so many PRs and improvements from top to bottom. This week will be a transition week - Enjoy the lighter volume and use it to recharge for the next cycle. The next cycle will lead us all the way up to Thanksgiving as well as the 2015 Thanksgiving Throwdown. More details about our annual IN-HOUSE competition to come. ...continue climbing the ladder until time runs out. Note rounds and reps for both sets separately. B. 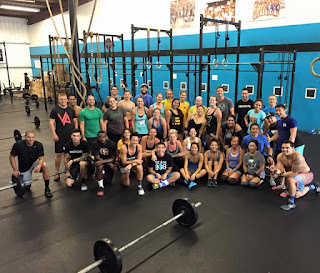 "Team Series 2015 Event 4"
*The 45-lb. barbell must be loaded with 90 lb. on one side and 135 lb. on the other side. 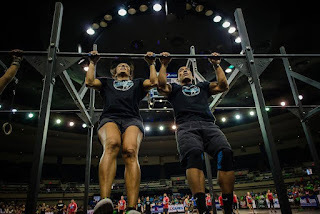 Above: Team Jiggle from the 2014 Team Series! We've had a few athletes interested in Team Series 2015. We will definitely validate your workouts during the 2 weeks (September 8-14 and October 6-12). 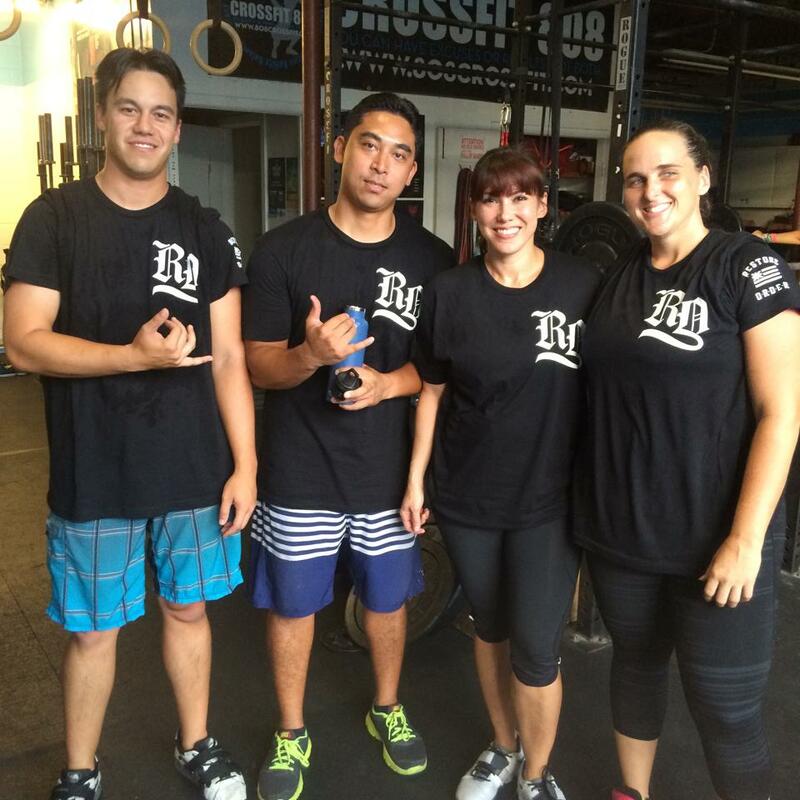 Please email elyse@808crossfit.com with your team's athletes as well as your team captain. The first set of workouts are announced tomorrow, you have till Monday, September 14 to complete the workouts as well as register your team (team series.crossfit.com)! Registration is just $20 and athlete ($80 total) and teams consist of two males and two females. So grab a few buddies and register your team! Goal is for Thrusters to be unbroken, but challeging! 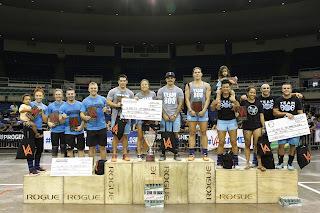 Above: The podium from the 2015 Hawaii VA Games! CrossFit 808 swept all three spots. Congrats to all the teams on a great competition. This should take less than 5 minutes in every set. If that’s not the case, get as far as possible in 5 minutes and then rest 60 seconds before restarting. 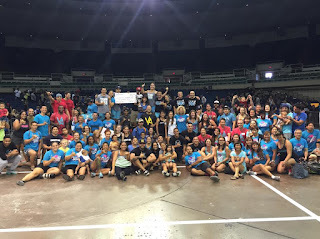 Thank you to everyone who came out to support us at the 2015 Hawaii VA Games! We are so grateful for your constant support in all that we do. Also, a big shoutout to those who volunteered and/or judged at the event. Focus on speed and consistency. Scheduling Reminder: WE ARE OPERATING ON A HOLIDAY SCHEDULE tomorrow, Labor Day, Monday, September 7th! 8:30am and 10:00am classes only! 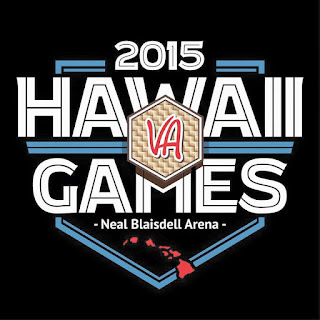 Just a reminder, we are CLOSED TODAY (Saturday, September 5th), so you can be at the 2015 Hawaii VA Games! Wear your 808 BLUE shirt and find our reserved section of seats along the finish line. 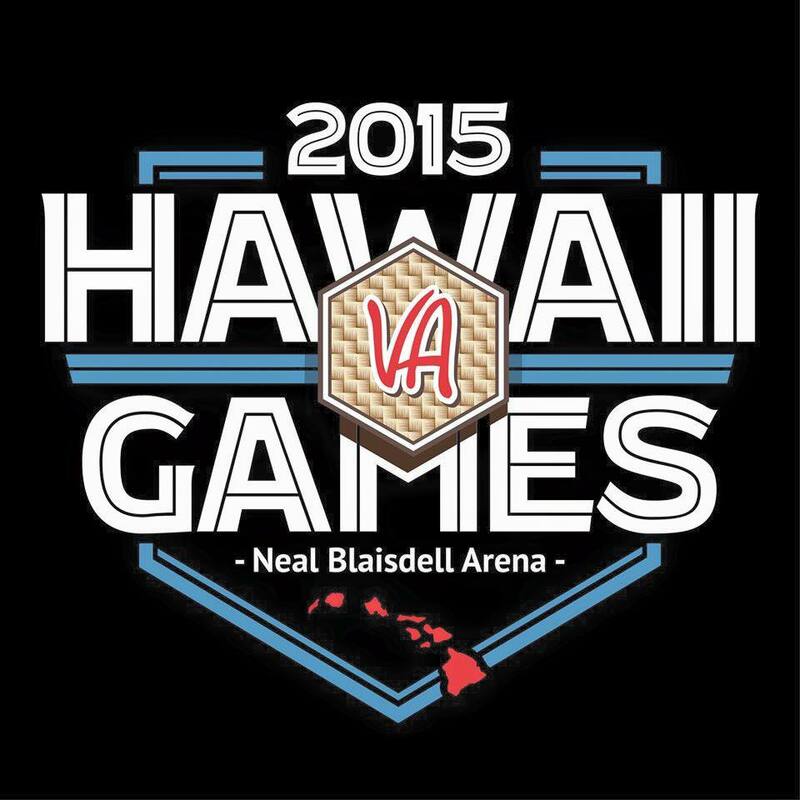 Scheduling Reminder: We will be CLOSED tomorrow for the Hawaii VA Games, so put your BLUE PARADISE tee or tank on and go to the Neal Blaisdell Center to cheer on your six 808 teams. We will be following a Holiday Schedule on Labor Day, Monday, September 7th: 8:30am and 10:00am classes ONLY. You must catch the ball for rep to count. 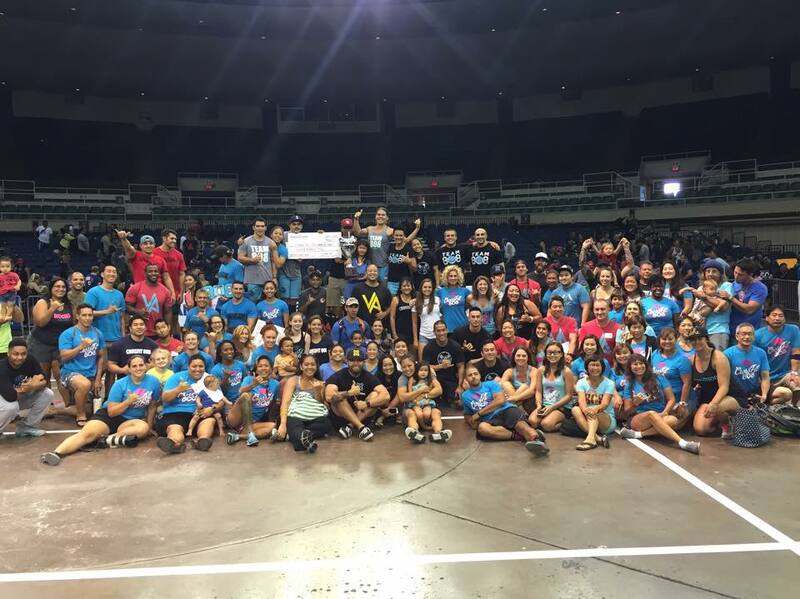 Scheduling Reminder: We will be CLOSED for the Hawaii VA Games on Saturday, September 5th. We will be following a Holiday Schedule on Labor Day, Monday, September 7th: 8:30am and 10:00am classes ONLY. Scheduling Reminder: We will be CLOSED this Saturday, September 5th in honor of the Hawaii VA Games. 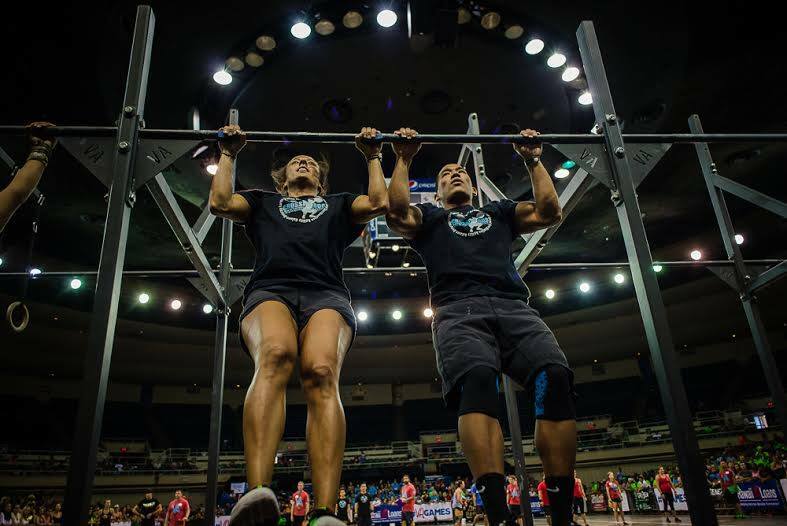 Please wear your BLUE Paradise tee or tank and make your way over to the Neal Blaisdell to support your six CrossFit 808 teams. Goal is to use heaviest 2-3 loads from last week for all 8 sets.